SARAH ELIZA: A Summer Switch Up. Even though I am writing this as the rain is coming down outside, it is summer which means a few little changes are made in the beauty department especially for me so I thought I'd share them with you today. I tend to leave my strong contour days during this time of year and opt for a bronzer that isn't entirely matte and can give me a nice all over bronze. I'm not a big fan of any sort of shimmer so I go for something like the one shown in the photo above which is the L'Oreal Glam Bronze. While I've got to say this can be slightly orange, with a careful hand this can give a lovely all over bronze. I'm not someone to step outside any kind of comfort zone including my make up comfort zone but I've decided I'll try my best this summer starting with applying products with a little bit more colour on my cheeks and I think coral coloured products are perfect for this time of year and I will be reaching for my Revlon Cream Blush in Coral Reef; this was a product that seemed to get a lot of interest when it first came out but I only bought it earlier this year and only really have the right chance to use it now. I also think it's a great coral colour the lips. Speaking of lips, a nice bright lip is great; whether that is a coral to go with my cheeks or another bright colour. I think I'll be grabbing for my Bourjois Colour Boost Lip Crayon. I've been waiting for the right time to use this and summer is a great time to wear it. The one I have is a gorgeous pink and the formula is very glossy and, while something I wouldn't normally go for, it looks great this time of year. While a BB Cream is something I would normally grab for with ease on a everyday basis over a foundation, I will be wearing it even more often over summer. 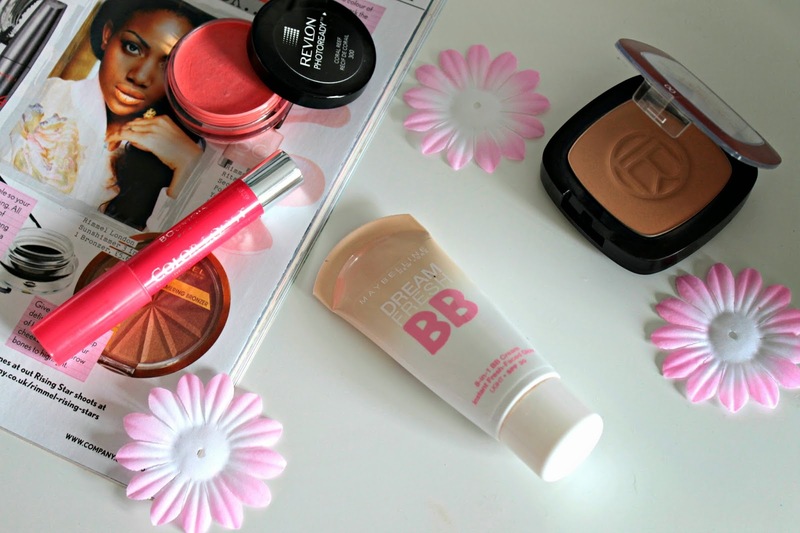 I am currently using my Maybelline Dream Fresh BB Cream which I've actually done a full review on here. It's great for summer with all those extra benefits a BB cream has to offer including, usually, a higher SPF than most foundations offer so is great with extra protection from the sun. I am actually soon to run out of the Maybelline BB Cream and so I'm on the hunt for trying something new. If you have any suggestions, feel free to let me know! These are just a few of the changes to my make up this summer. If you'd like an updated everyday make up I will be sure to do that for you as it seems to have changed quite a lot. What changes do you make to your make up during summer?